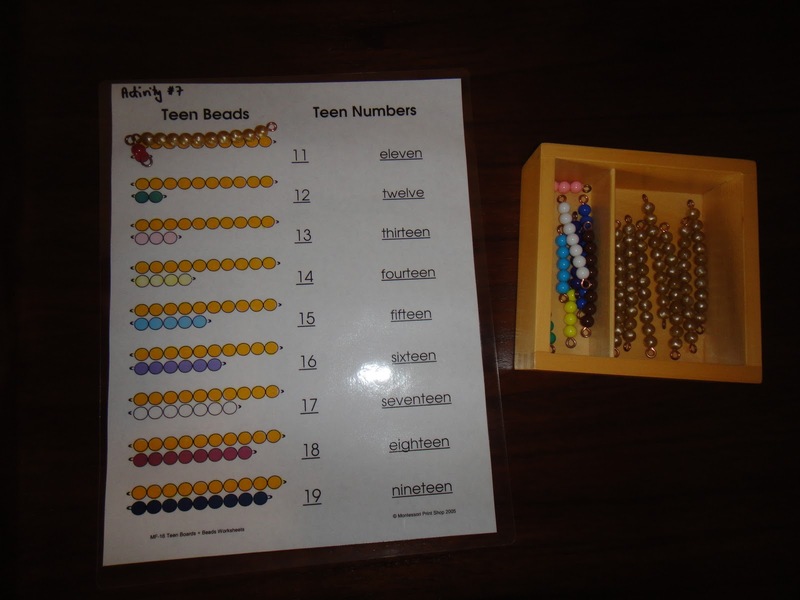 Here is the first part of Math Curriculum I've created for Eaton. 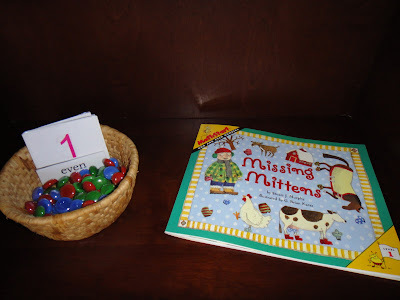 "Where are my mittens"-odd/even numbers. 1-10. 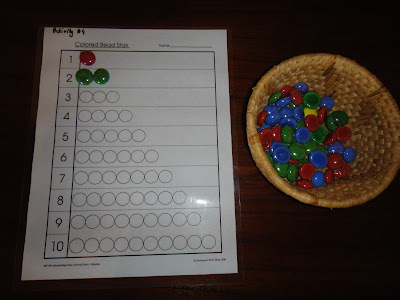 Variation-use marbles or other manipulative. 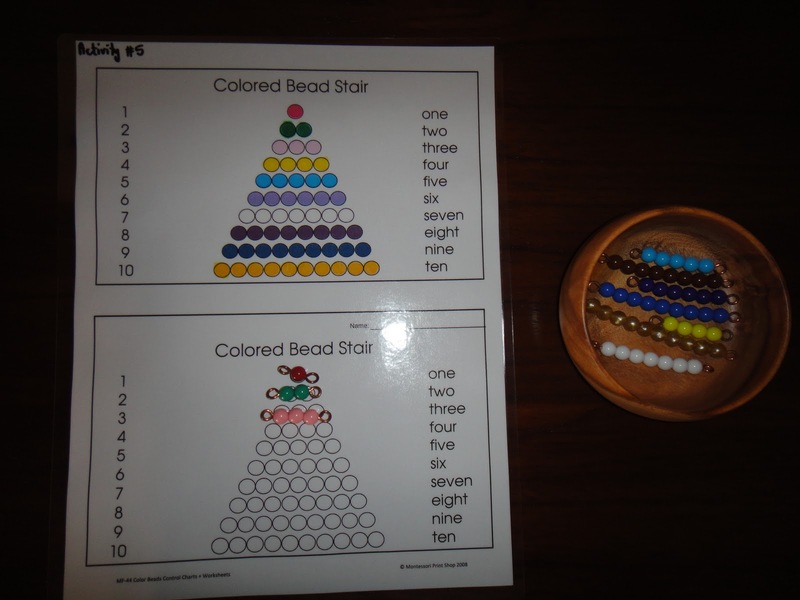 5) Colored Bead Stair-matching real beads to a drawing triangle. 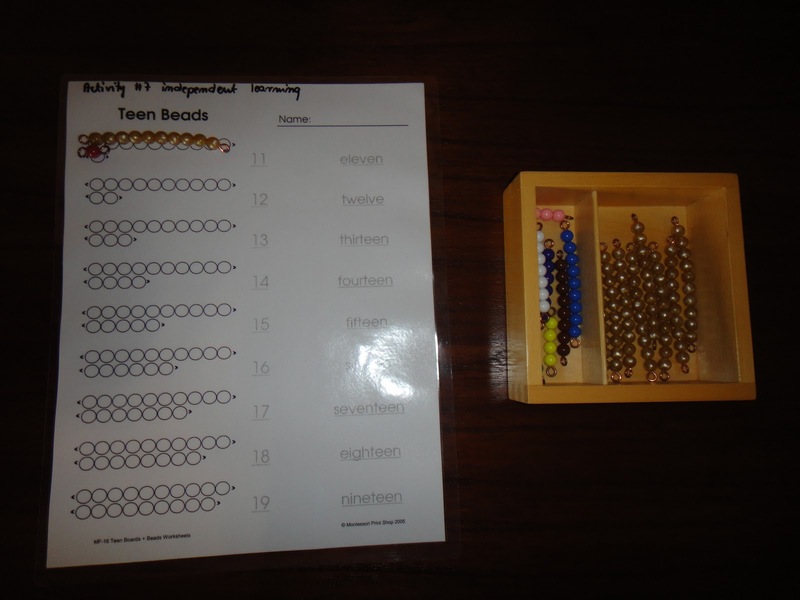 7) Worksheet Teen Beads-matching real beads to a drawn on a worksheet. 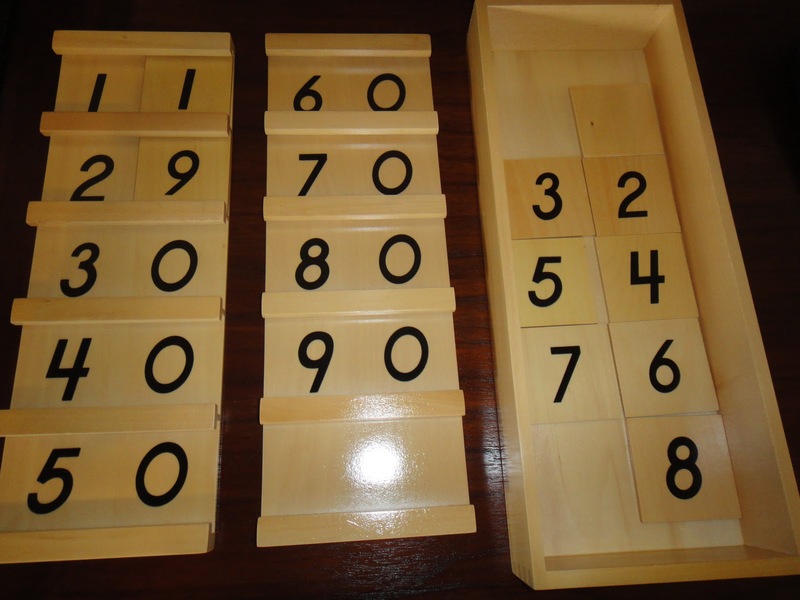 9) The Tens boards-Montessori Material. 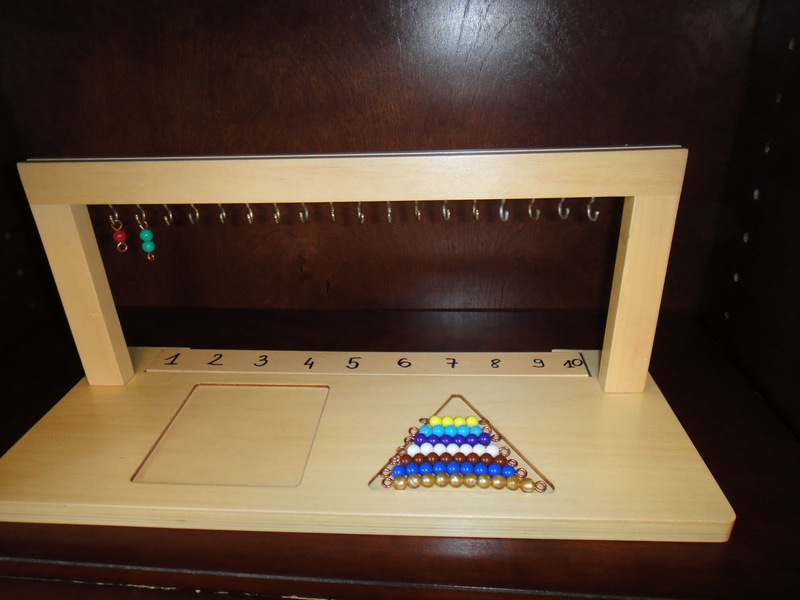 I use Moteacto.com-Montessori album as a reference that helps me to create and direct the way the math learning should go. I wasn't sure if Eaton would like beads or if he would prefer some blocks or other manipulative for learning purposes. It seems like Eaton loves beads, their color and the size so we will stick with them for now. Besides that curriculum we do a lot of counting and additions of everything around us. Eaton jumps on our bed in the morning and counts horses outside he doesn't even see. He counts stars, goats, plates on our table. He just has a blast with all these stuff he can count. 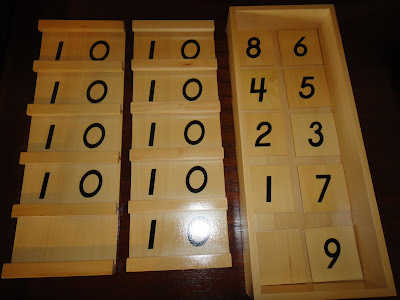 I've already started to do some activities from that curriculum with Eaton. 2) Ten Hanger- Montessori beads 1-10. 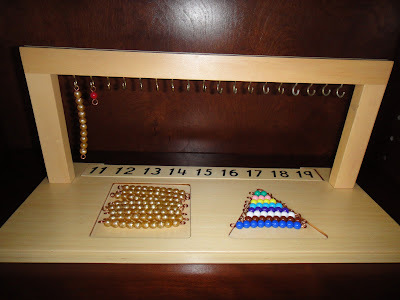 Originally it is a Teen Hanger, but I converted it into a ten Hanger for Eaton to practice numbers 1 to 10. Other variation using numbers not in the sequence. 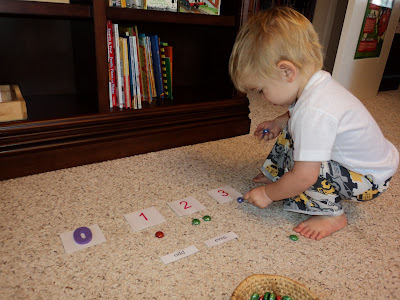 3) ) Cards & Counters (marbles) 1-10. Introduction to odd/even numbers+ Missing Mittens (MathStart 1) book. 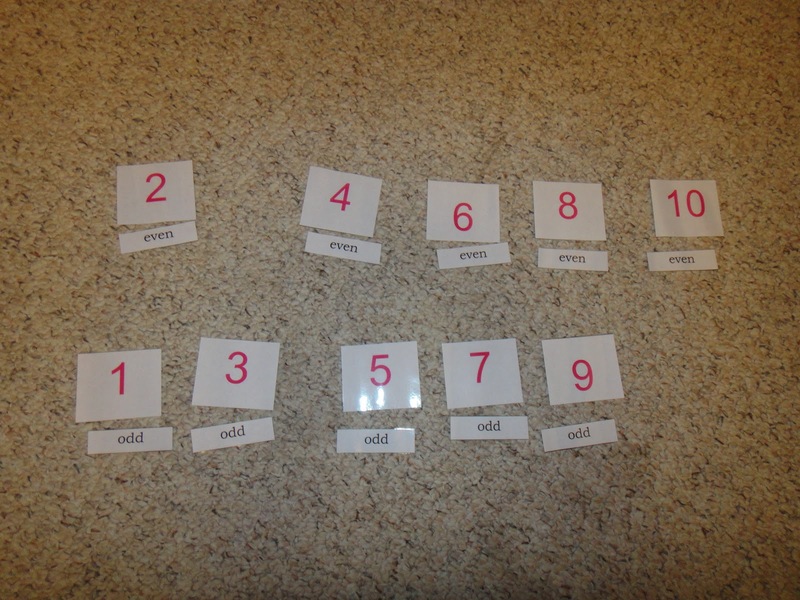 I separated odd and even numbers from each other for better view. 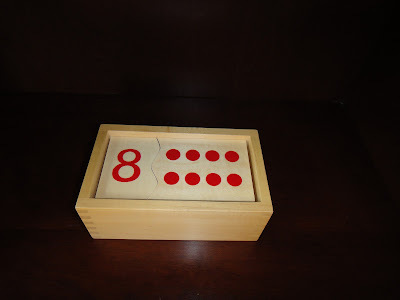 Then we were counting by 2. I also created a pattern with odd/even written words for Eaton to finish. You can print these cards here. 1-10. 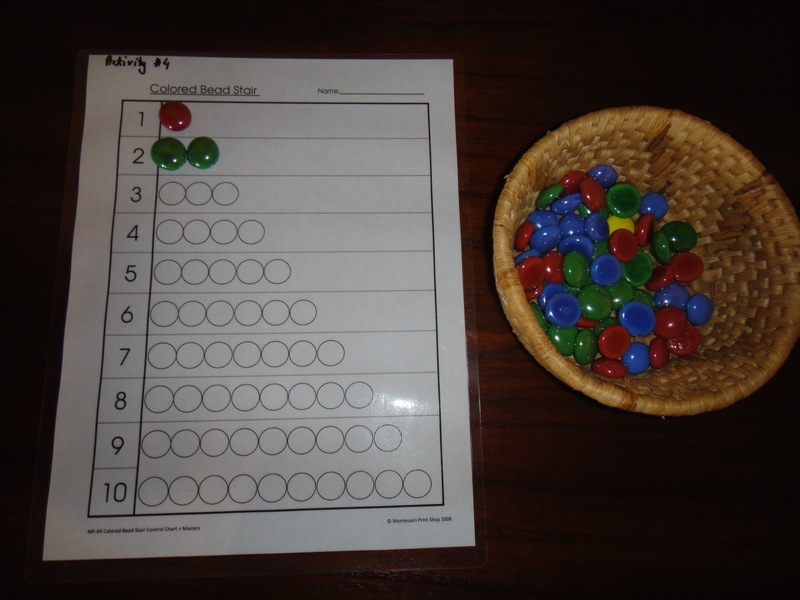 Variation:use marbles or other manipulative. 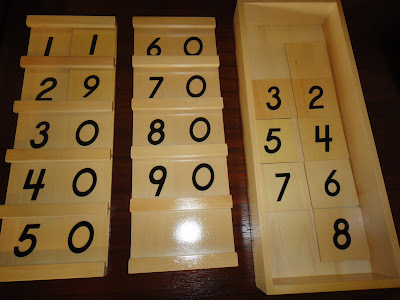 6) The Teen boards-Montessori material. You can see the presentation of these boards over here. You can see the presentation of this activity over here. 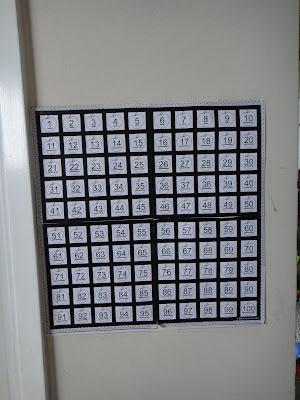 I put this board on the wall next to the kitchen sliding door and each time Eaton wants to go out he passes it and reads numbers. I will color columns into different colors and ask Eaton to read it for me. I plan to introduce counting by 5 and 10 any day now. 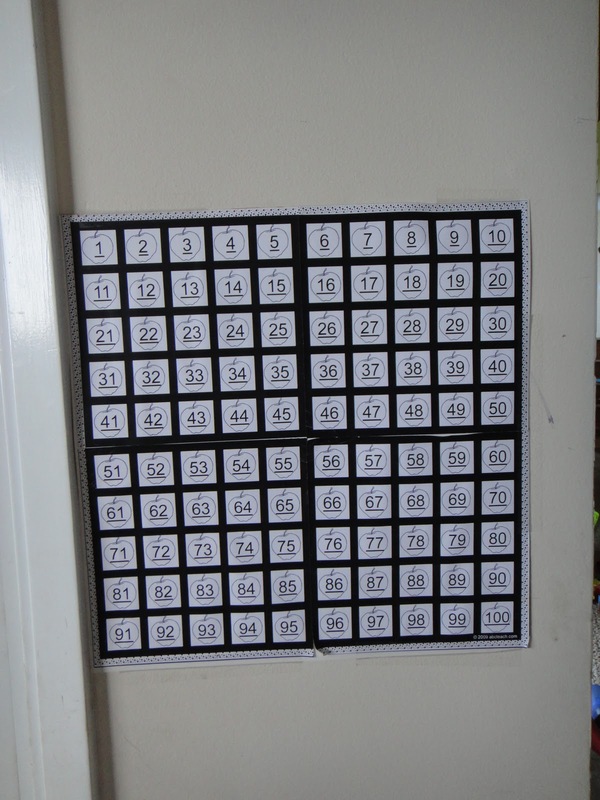 You can print one of these 100 boards for free over here. 11) Addition. For addition we use MathStart Book, marbles, fingers and beads. 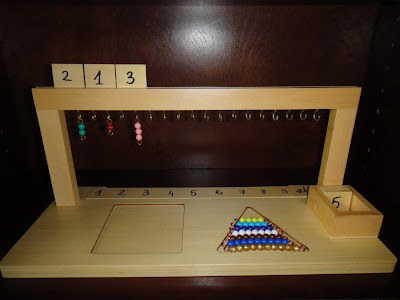 I will post more about addition activities. 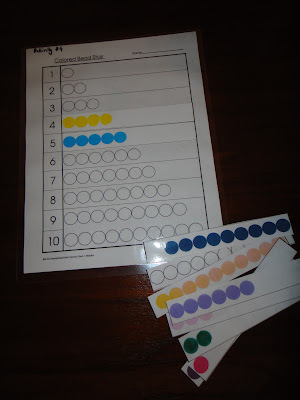 All worksheets I mentioned I bought at Montessori Print Shop. 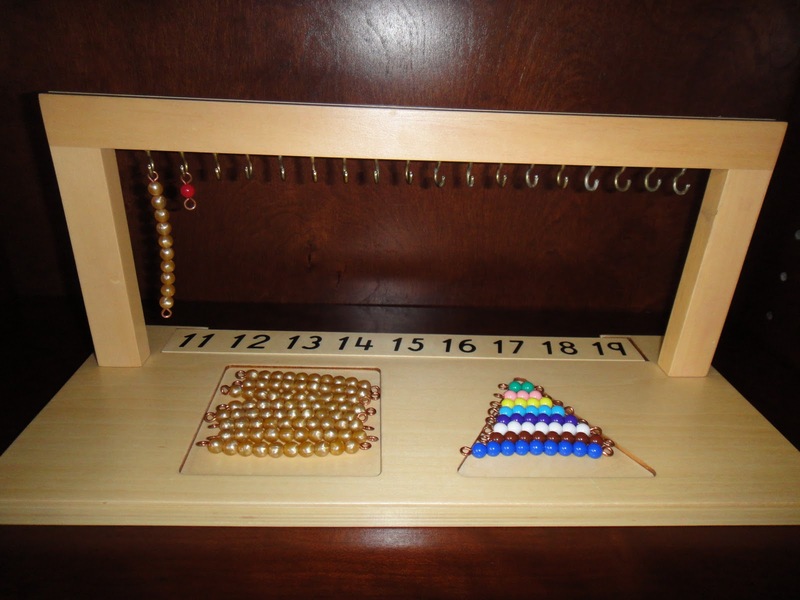 Montessori materials: hanger, beads, teen/ten boards purchased at IFIT. I am so amazed and impressed! Eaton is so talented and you are so talented and creative to teach him so well. Great job to the both of you!! !